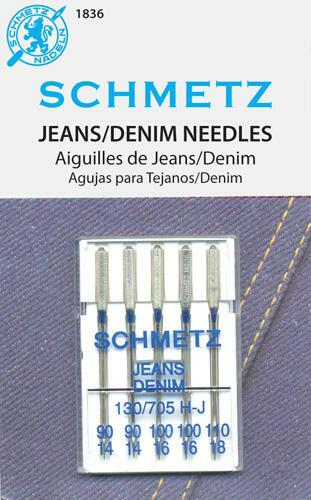 For jeans and similar densely woven materials. Assortment includes 2 sz90, 2 sz100 1 sz110. 5 needles total.